Depending on the province and industry it may be required that data be kept in Canada, and in some cases in the same province where it originates. While other types of data may have no mandatory geographic restrictions. So how is a Canadian business to understand what laws apply to them? Industries that are regulated by the provinces, such as health care, should check with provincial laws first, then check Canadian law. Provincial laws should state whether the business data must stay in Canada or if it can be stored in a foreign country. Does the country where my data will be stored have the same privacy standards as Canada? Can I trust how the cloud provider handles my data? Can I protect the data against unauthorized access or retrieval? Can I trust the data always stays in the host country? Even if the data centre is located in Canada, is the cloud provider a Canadian company, who understands data sovereignty? Your business data is your most valuable asset. Before you select a cloud provider, make sure you know the answers to these questions and feel confident that the provider you choose will keep your data safe. If your customer data is not safe, it will cost you — not only financially, but in terms of reputation management. Consequences of not having a strong data security policy include DDoS attacks, ransomware, and phishing attacks. Any one of these incidents could result in a data breach that causes customer dissatisfaction, loss of revenue, and reputation harm. Thus, it is important that your company have a data privacy strategy that balances the benefits of the cloud with risk management. 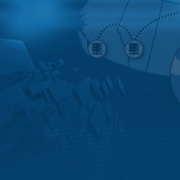 Review the security and privacy policies of your cloud provider. Do these match the values your company holds? Does the cloud provider place equal or greater importance on keeping your customer data secure? Do physical or virtual network inter-connection paths between your organization and your Cloud infrastructure remain within Canadian borders? If so, you have found a trustworthy partner. Whether your organization is required to keep data within Canadian borders or not, there are many reasons to select a Canadian cloud provider. 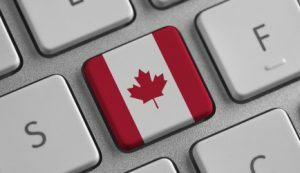 Canadian cloud hosting providers, such as Server Cloud Canada, are bound by the Canada Privacy Act and PIPEDA, the Personal Information Protection and Electronic Documents Act. These two laws afford your data many aspects of a strong data privacy strategy not found in other nations. PIPEDA protects sensitive data from unauthorized access, which means that your data remains that — yours. In contrast, U.S. based cloud providers cannot ensure that your organization will always have access to your data. U.S. authorities can block your access to your own data or use surveillance without the need to obtain a court order. Canada has very strict laws safeguarding data privacy. The simple fact is, few nations can offer as robust protections for data privacy as Canada. Given this fact, why send your data abroad when it can be protected better right here in Canada? A hosting provider that is Canadian-owned with Canadian staff goes even further to protect the sovereignty of your data, because they are well-versed with Canada’s laws in this area and they already use Canadian standards. You can also expect the same parameters in how your organization connects to your data. This protection is one reason why many global businesses seek a Canadian cloud partner. Leaving Canadian cloud provider security and data privacy matters aside, it’s simply faster to keep the data in-country. If your company primarily serves Canadian customers, they will enjoy faster connection & load time when your data is coming from Canada instead of a foreign country. Low latency means fewer delays in waiting for video, or larger data files. Speed reduces bounce rate and increases customer satisfaction, two important variables for companies who want to maintain or grow market share. And while it’s hardly a technological advantage, there is something to be said for the maxim to “buy local.” When your company supports local businesses in other aspects, shouldn’t you pick a local cloud partner as well? Keep your data on Canadian soil with a 100% Canadian solution from Server Cloud Canada.